Special discount for Magnolia Society International members! Receive up to 20% off and free shipping! Magnolias in Art and Cultivation celebrates our centuries-long love of this beautiful plant. The first illustrated book on magnolias, it is a perfect blend of science and art. All magnolia species are included along with nearly one hundred hybrids. Informative text and comprehensive botanical descriptions from magnolia experts are joined by breathtaking paintings created especially for the text. 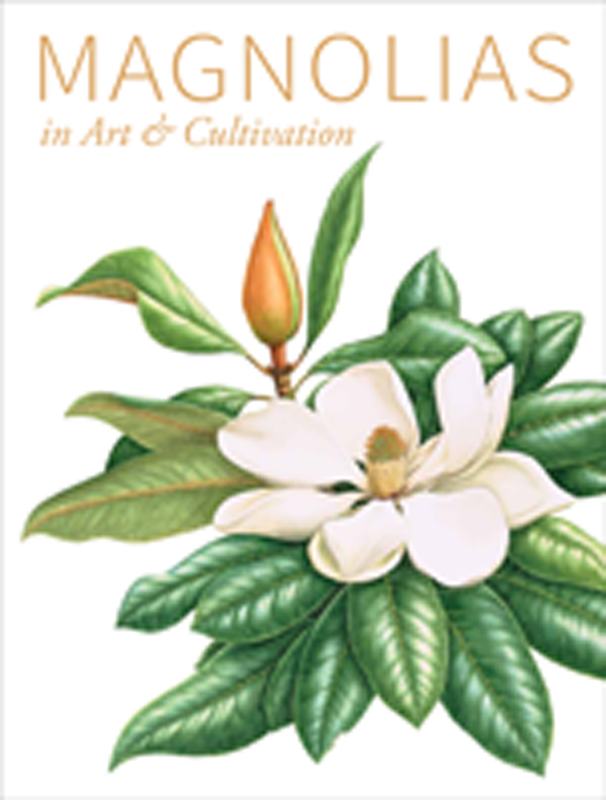 An educational and entertaining read, Magnolias in Art and Cultivation will delight anyone captivated by these beautiful plants. More about the book. See sample pages. Buy via UCP’s shopping cart or call (800) 621-2736 and mention promo code MAGNOLIAS14. Order from Kew or call +44 (0)7764352570 and mention promo code MG01. Order from Kew or call +44 (0)7764352570 and mention promo code MG02. Outside of North America and Europe? Send us e-mail or call +44 (0)7764352570. Additional questions? Please e-mail magnolias@uchicago.edu.